New York Wanderer Press and New York Wanderer Blog are projects by New York-based author and historian Benjamin Feldman. 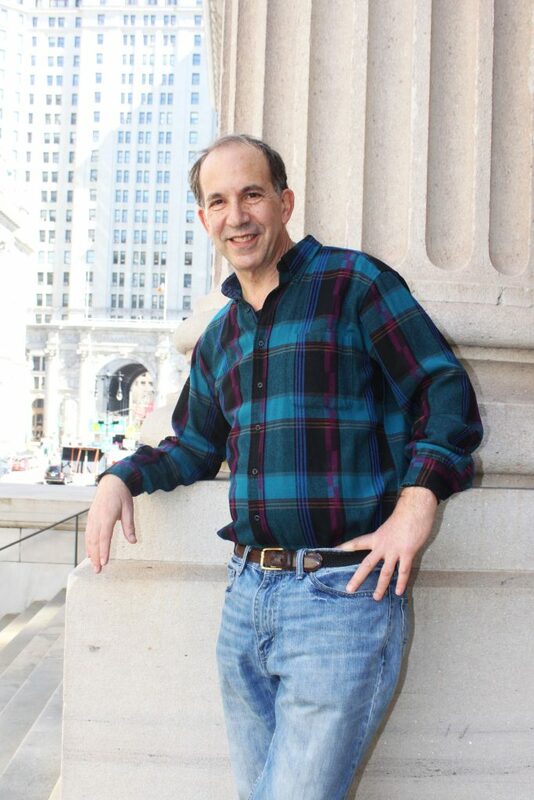 Ben has lived and worked in New York City since 1969. His essays and book reviews about New York City, American history, and Yiddish culture have appeared online and in print in CUNY’s Gotham History Blotter, The New Partisan Review, Columbia County History and Heritage, and Ducts literary magazine. Ben’s first book, Butchery on Bond Street – Sexual Politics and the Burdell-Cunningham Case in Ante-bellum New York, appeared in May 2007. Its tale of an infamous unsolved murder case from the 19th century is told “like a gaslight-era episode of Law & Order” (The New Yorker). His second book, Call Me Daddy – Babes and Bathos in Edward West Browning’s Jazz-Age New York, appeared in June 2009. The retelling of a notorious tabloid scandal “captures in delicious fashion the philandering real estate magnate in all his buffoonery” according to Sam Roberts in The New York Times. The author’s ongoing projects include a biographical work about Henry Knight Dyer, the first non-family member to be president of the Dennison Manufacturing Company; an investigation into the life of an early 20th century New York City Jewish saloon-keeper named Sol Goldberg whose efforts to forestall economic ruin at the advent of Prohibition lead to some Runyon-esque escapades; and a biography of the famous 19th century NYC tavern-keep and theatrical promoter, William Niblo.